Sheila’s Window Toppers wants to thank you for your support! 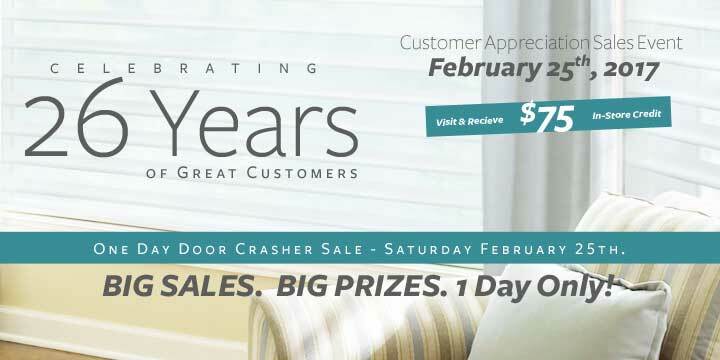 Join us for a customer appreciation sales event ending March 18th! Receive a $75 in store credit for stopping by. Also enjoy extra discounts and draws to win prizes and gift certificates towards your blinds. 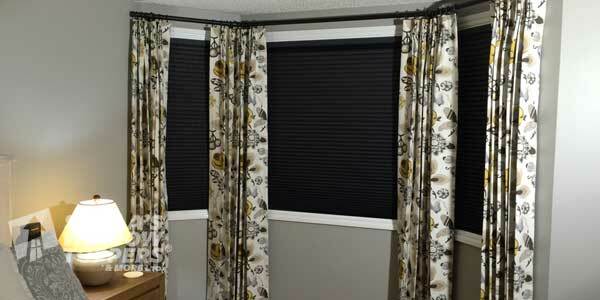 Calgary’s Biggest Blinds Sale of the Year! Come join us at our Calgary Crowfoot shoowroom and enter to win prizes from Gift Certificates, Gift Baskets, and more. Select Drapery Fabrics are on Sale. Drapery Sale will be extended for 2 weeks to ensure customers select the perfect fabric for their home. View all our blinds and shutter sales and promotions. Calgary’s best prices guaranteed.